Not all of Thailand has adventures that are fun. A particular adventure that most westerners do not like to . . . ummm . . . venture is the Thai bathroom. Believe it or not, using the loo is not a universal skill. 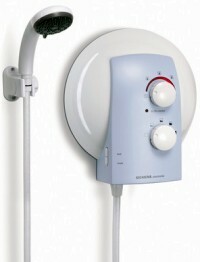 Don't just walk in assuming you know how to turn on the hot water or flush a toilet. Also known as the squatter, this hole in the ground can be quite confusing for a westerner. All of us has been taught to always sit on the toilet seat. But in this case, you squat. This basically involves you standing on each end of the hole, and bending down. Use your imagination . . . 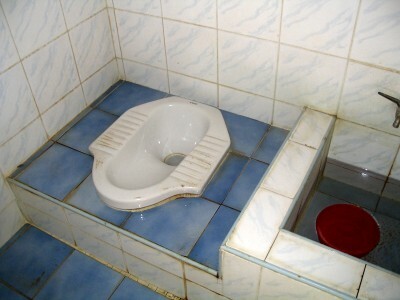 I have heard many a Thai make fun of westerners using the squatter. I once a group of Thai's joking about some white girl who would sit on it, and they laughed at how 'dumb' she was not to know better. I myself was very confused. I remember my first time seeing one, and not knowing exactly what to make of it. Ill open myself to embarrassment and say I (not knowing better) sat on one my first few times too . . . but I cleaned it first I swear!!!! Now the next question is, where is the toilet paper? That's right, that convenience that any 'normal' person couldn't do without. No good 'ol tp . . . Looking around you will notice a bucket of water. No tp, and a bucket of water. Figured it out yet? Well, what would you do if all you had to wipe yourself was water and your left hand? Use your imagination . . . Don't think you will shake someone's left hand over there again without thinking twice, eh? They do this in India too - discrimination against left-handers isn't so rare there. Personally, I am smart (at least prefer to keep my hands clean) and not only carry a roll of toilet paper wherever I go, but backups in all my luggage. However a caution I must point out, flushing isn't like a western toilet either, so you cant just throw your toilet paper in the hole or you will risk clogging. Again, a hole in the ground, a bucket of water, and no flush valve thing . . . Conundrum . . . Actually it is simple. Just fill the bucket of water to the top, and then pour the water into the hole all at once. Repeat till the hole is empty. 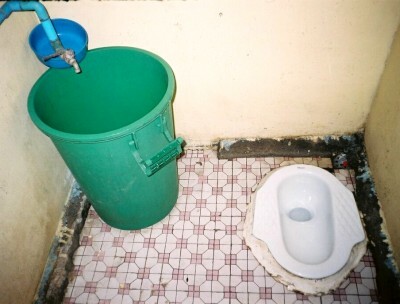 Fairly simple, but again, also very alien to those who are only familiar to the western toilet. Basically, don't go in until you inspected from the outside. The same basic rule you would use for a port-o-potty in the US, expect giant spiders to be in there with you about head level. This pic here is a giant spider I found as I walked in. 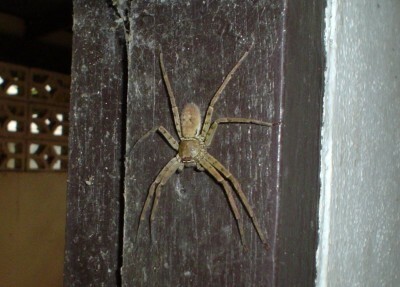 Its was the size of my freakin hand, with fingers spread out!!! 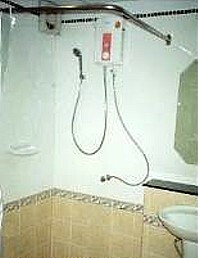 You probably know by now that the average Thai person takes three showers a day. The reason to shower so often is because its always so freakin hot and humid over there. If you don't shower 3 times a day they will think you are dirty. Dirty! I usually compromised and just did 2 =D. When I say Thai person, I mean a Thai person in Thailand. Most Thais when they come to the US take showers like any other [dirty] American. Unfortunately what you may not like about Thai showers is that they are always freezing cold (even though its 90F+ outside). Not everyone likes cold showers . . . But you are in luck. 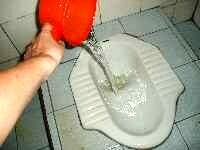 Some wealthier Thais have these water heater things in the bathrooms that heat the water straight out of the spicket. Just turn them on, adjust the temperature dial, and you are set to go. Always carry a few baht around when traveling, as using a public bathroom isn't free . . . 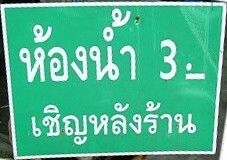 This sign says there is a bathroom behind the store for 3 baht. Memorizing the top row could come in handy when looking for a toilet . . .